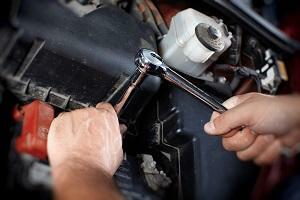 Looking for the Best Local Auto Mechanic? When you’re searching for an auto mechanic in Federal Way, you don’t want to go with just anyone. Your car gets you to and from work, school, and everywhere else, and is something you can’t afford to be without. You rely on your car. You should rely on your mechanic as well. That’s why every mechanic at Federal Way Automotive & Radiator is ASE certified to prove that they have the skills and techniques necessary to provide quality repair work on your vehicle, so you can rest assured that the job will be done right. ASE, The National Institute of Automotive Service Excellence, is a nationwide auto repair program that evaluates a mechanic’s skill and competency in a variety of auto repair areas. Exams are created by a collection of automotive professionals including auto mechanics, educators, automobile manufacturers, and more. This wide variety allows for comprehensive knowledge testing for mechanics. Because certification only lasts for five years, auto technicians must keep up with advances in technology and learn how to perform diagnostics on new vehicles in order to keep their ASE certification current. This continuing education means that mechanics gain a wider range of knowledge so they’re better equipped to do work on your car whether it’s brand new or several years old. Curious about ASE Certification Areas? Click here to see some of the Test Series and certification requirements! What kind of auto service do you do? 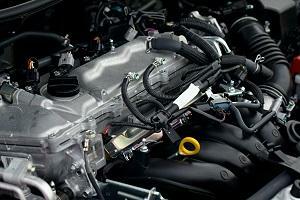 Why choose us for auto repairs? 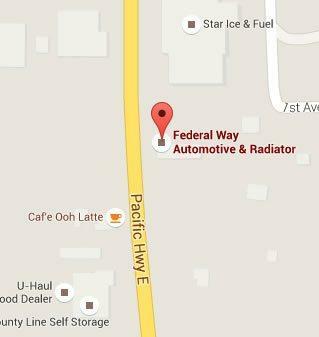 At Federal Way Automotive & Radiator, we know that your car is different than your neighbor’s. We also understand that a couple of years can make a significant difference between what kind of repair is necessary–even with cars of the same make and model. That’s why we do comprehensive diagnostics to make sure we identify the source of the problem and only use OEM or equivalent parts. Whether you have a state-of-the-art computer system and check engine light or a vehicle that still runs before the days of OBD systems, we’ll find out what’s wrong with your car instead of making assumptions. After you have car repairs, you don’t want the same problem coming back. When you come to us, we provide peace of mind and offer a 12 Month/12,000 Mile Warranty on both parts and labor. So come to us confidently, knowing we back up our repair work! Our local auto repair shop has been in business for over 30 years. The family-owned auto shop has been a staple of the town, providing quality car and truck repairs to Federal Way and the surrounding area for decades. With high reviews on Yelp and Google, you won’t find a better mechanic shop anywhere in the region! Some automotive shops talk down to their customers and try to take advantage of them, doing preemptive maintenance long before its needed. Not us. We believe in the golden rule of customer service, and treat you the same way that we want to be treated as customers. This means that we do whatever we can to see you satisfied with our service and treat you like one of our own, because you are. So give us a call or fill out our contact form to schedule an appointment today! Best mechanic in Federal Way hands down!